This is the picture that inspired my new short story, Crossing Over. 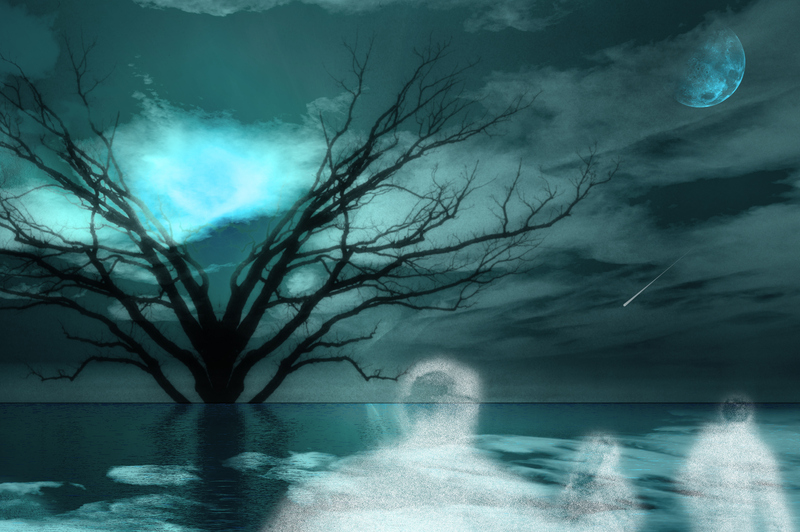 These Spirits appear to be ‘walking’ on water as if trying to reach a destination, and the green background gave me the idea of the powerful evil Spirit known as the Dark One. He uses a powerful mist to disorient and kill anyone who travels in this part of the Atlantic Ocean. There are thousands of trapped Spirits who can’t cross over into the Spirit World because of his power. My protagonist, Maria, who is the most recent victim, is confused by the mist until she sees Him. She and her family realize that there accident was the result of this evil one, and are dismayed. Maria is now determined to find a way to defeat the Dark One with the help of her new friends.